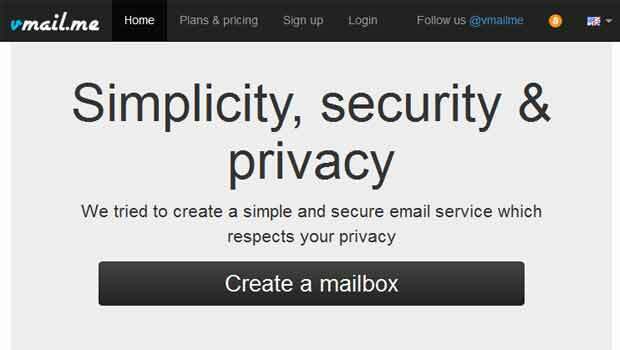 Looking for Hushmail alternatives that will offer secure email services? Well, you’re in luck – We’ve prepared a list of just that. Finding a safe way to send emails to others without the fear of someone other than the receipting getting their hands on your private conversations is a tough task, especially with all the controversies going on. Even popular services such as Gmail, Outlook and Yahoo Mail which are backed by SSL encryption as well as the product in question are not considered safe. Nevertheless, we’ve got several secure email clients for you to choose from to keep your private conversations, private. First up is S-Mail, a secure email client that uses military-level cryptography to keep sent and received data secure. Each email sent from this service is encrypted with 3 layers, namely SSL, DSA and PGP. The company also asserts that your data will be automatically protected and you won’t have to deal with span, viruses or ads. 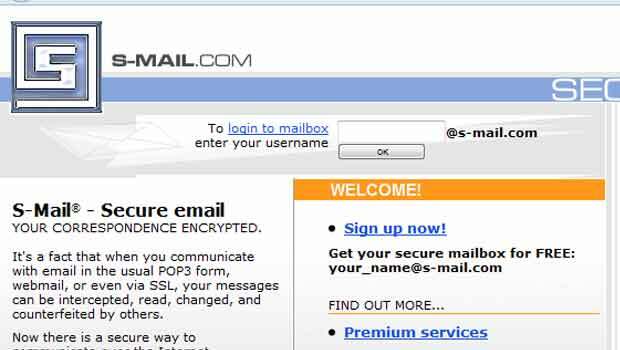 Even POP3 and SMTP access is being offered and you’ll be able to use S-Mail with various email software such as Outlook, Eudora, Mozilla, Outlook Express, TheBat!, Pegasus, Netscape Mail and more. Signing up for an account with the company is easy and the company is offering 1 month of free usage. After which, you will have to choose between standard and premium plans which are priced at $3 and $5, respectively, per month. Virtru is one of the most popular services like Hushmail available out there. If you’re not comfortable getting a brand-new email address or going through the hassle of migrating to a new service, then this options is just right for you. It works with popular email services such as Outlook, Gmail and Yahoo amongst others. Here’s how it keep your emails secure – All data including attachments, is encrypted on your device itself before being sent to the recipient and even the company doesn’t have access to your content. The company uses TDF (trusted data format), 256-bit AES encryption and its own OpenID identity management technology to get the job done. Some of the other interesting features offered by Virtu are providing full control on who can access your data and the ability to revoke messages when desired as well as monitor where they are being forwarded to. Virtru is available for free. 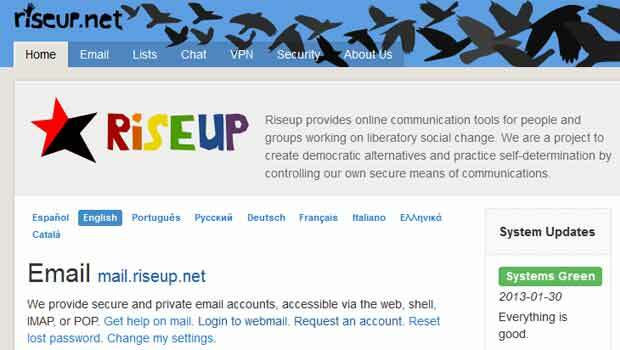 Providing secure means of communications is what Riseup is all about. This service offers private email accounts which can be accessed through a web browser and IMAP or POP clients. Getting an account here is free, but not that easy. You won’t be able to sign up instantly unless you have an invite from an existing user. The normal procedure is to fill up a request form and wait for the company to processor your information. The wait can be long depending on the number of entries. Where security is concerned, your IP address is not saved with the service when you log in. All of your data, however, is stored on their servers, but in encrypted form. And most importantly, the company is hell-bent on not sharing private information with anyone. Countermail is another addition to the sites similar to Hushmail compilation which offers end-to-end security. This service makes sure your messages are encrypted before they leave your computer. 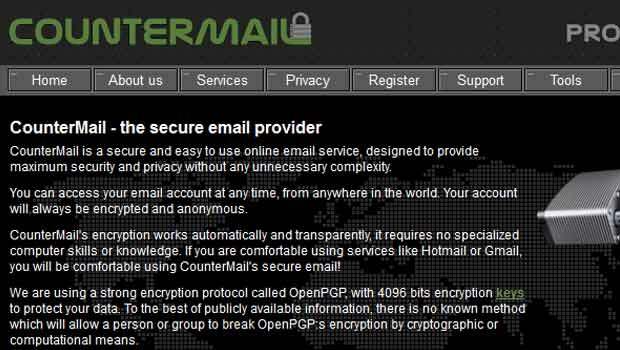 Emails are encrypted with OpenPGP and are sent to the company’s web server over SSL protocol. Countermail asserts that it doesn’t save any IP addresses on its side and it implements a diskless web server to prevent anyone from stealing information. This service can be used on any Java-based webs browser and to add an extra layer of security, you can opt for the USB key option that only permits access to an account with the peripheral plugged in. Countermail is compatible with Windows, OS X and Linux and it can also be used with any IMAP email client of your choice. Prices start at $19 for 3 months. 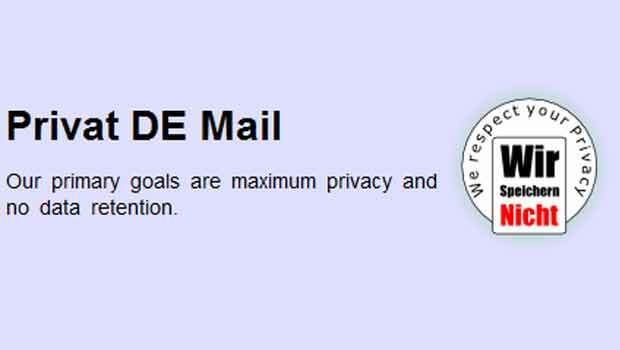 Privat DE is one of the most recommended services like Hushmail we’ve come across. This service doesn’t offer a web client to access your account. Instead, you’ll have to use tools like Thunderbird, Outlook or others to view mails. Your IP address will be made invisible when sending emails and the company’s servers are located in Egypt where even the operators don’t have access to the data. There are a few downsides with Privat DE, however. If you forget your password, there’s absolutely no way of retrieving it. You’ll have to wait for 90 days before you can re-register an account as inactive IDs are terminated after 3 months. Apart from this, there’s a limit of 100 mails per day and you can send messages to only 50 recipients. Lastly, messages are limited to 10MB and you get a total of 500MB per account. 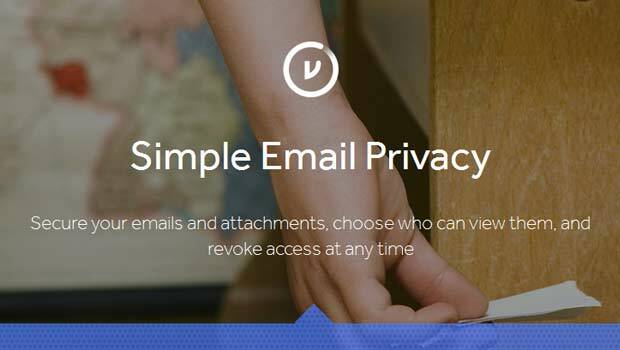 So those are some of the most viable Hushmail alternatives we’ve come across. Apart from these, we’ve looking forward to the Mega email service which is being developed by Kim Dotcom (founder of Megaupload) promising ‘true’ end-to-end encryption. So which email service is the most secure according to you? You can share your opinions with us and our readers by dropping in a few lines below.